The latest music video from the guys at Rude World Records, has just dropped and it features the Namibian hip-hop poet group Black Vulcanite and local rap boy from the Kaap repping himself as Youngsta. The video which takes us through the city of Cape Town, in which the artist perform while rolling through the city. The visual effects, styling and musical aspect of the video is truly on point, and it has been cut out to be a complete jam. The city rolling in the background just adds a whole visual aspect throughout the video. Black Vulcanite has also just announced the official merchandise collaboration with the Mzansi streetwear brand ZAXL, they have even released the line of clothing which is dopely available online at the ZAXL Store. Keeping following #TheBiznizBlog for the latest news and entertainment. During the early hours of 24th July, the beautiful and talented ”Nicki Minaj” announces her latest single with dropping this little (Or not soo little) album cover on her social media channels and website. The album art did just what it needed on the social media platforms, with causing quite a stir. The picture which after just hours of its release, can have taken much of the concentration off the announcement of the latest single ”Anaconda” but rather focusing it on more obvious places. (Insert words here). 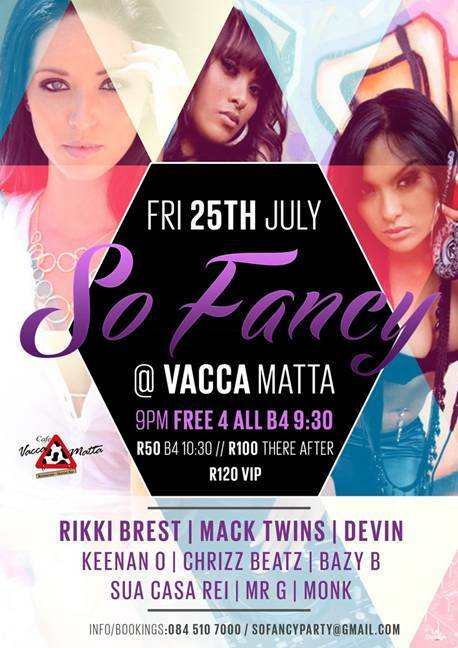 The cover artwork sees “Nicki Minaj’‘ crouched down in a little pink sports top and a tiny g-string, while wearing the dope Jordan customed hi-top sneakers. 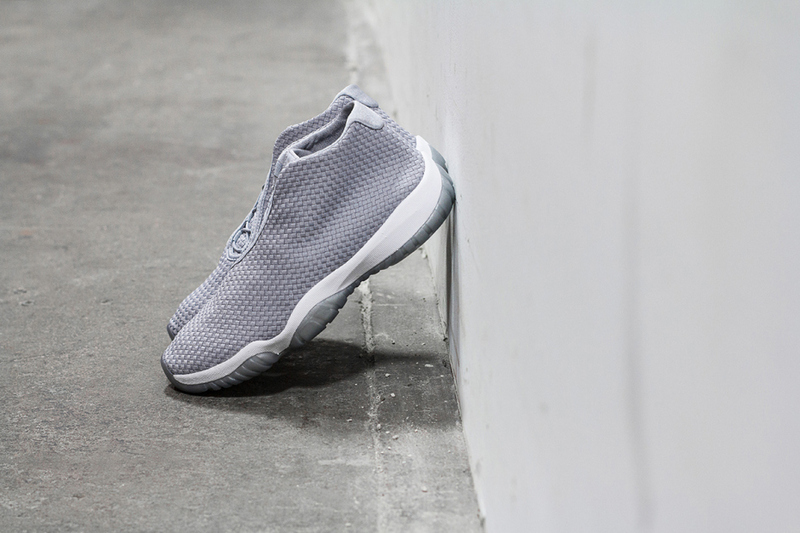 The latest and newest release from the Nike ”Air Jordan” came in the form of a sneaker dressed in a woven upper and contrasting midsole. 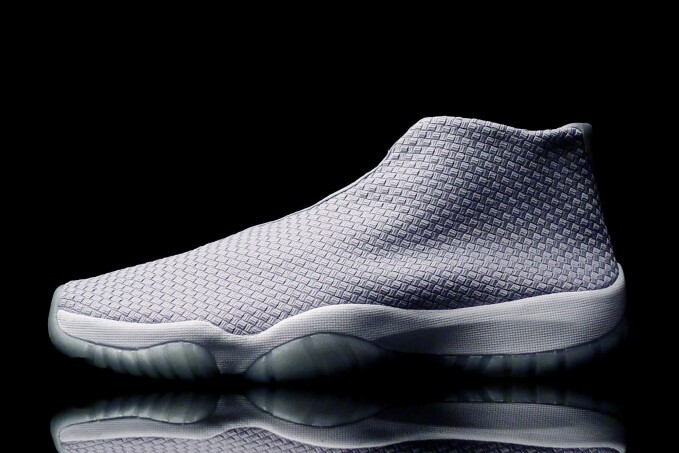 These are one of those Jordans which you either seem to love it or hate it, no other two-ways about that. 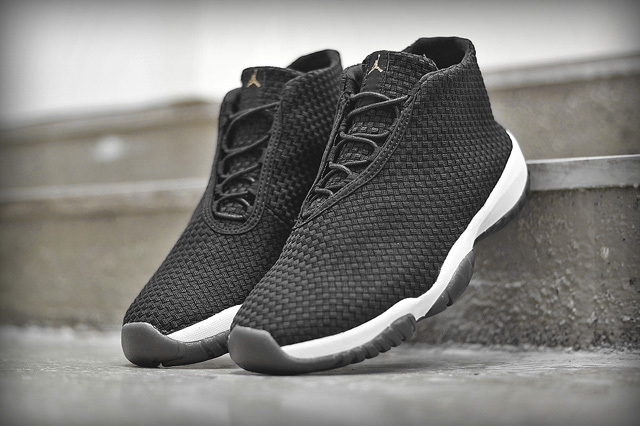 An asymmetrical lacing system enhances the aesthetic, while gold accents; seen on the aglets and Jumpman emblem on the tongue, really gives this Jordan Future a premium look and feel. 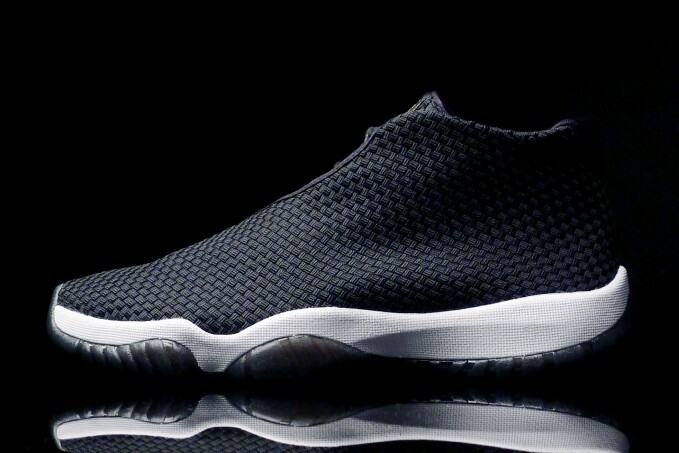 The Jordan Future has been released in two new colourways, ”Wolf Grey White” and ”Black White” both looking fresh and sweet at the same time. These has just dropped and is available at Shelflife for a sweet little buck, if you think they cool enough might as well get these delivered to you from these guys too. Stay Fresh and Keep it sweet. The most of the current Apple lovers of the iPhone series are all eagerly awaiting for the release of the iPhone 6 later this year. The rumour has it that the iPhone 6 will be coming out with a 4.7 – 5.5 inch larger screen. The guys from Samsung decided to use the rumour as a good play in their favour with a release of the advert ”Samsung S5 – Screen Envy”, which is boasting the current Samsung S5 model with is Super Amoled, 5.1 inch screen with its 1080 pixel resolution. The Bizniz Blog will be keeping you updated on the latest news and release of the upcoming iPhone 6. But for now lets give the ”Global Globe Award” to the guys from Samsung. The Real Success Experience, to be staged at Gallagher Estate, Midrand, on 12 and 13 July, will feature a panel of acclaimed South African speakers and experts in a range of disciplines. Organiser Brian Walsh, CEO of the REAL Entrepreneur Institute, notes that many businesses fail because of the mindsets of their owners. “The biggest challenge facing any business is the business owner. If the owner does not have the right mindset and behaviours, the business is doomed to fail,” he says. Walsh says feedback from many events he has participated in prompted him to present the Real Success Experience, with a programme developed in partnership with successful South African entrepreneurs and behavioural and development experts who are passionate about teaching and sharing their experiences. “Local people want to hear how individuals and businesses thrived in the face of our unique challenges. They want to know exactly what strategies and approaches were used to overcome challenges and become successful,” says Walsh. In collaboration with experts such as sales specialist Neil Malan, author, inspirational speaker, and multi-millionaire entrepreneur Billy Selekane, psychology and leadership expert, author and international speaker Justin Cohen, ‘fearless’ businessman and investor Coert Coetzee, leading marketing coach Barry Mitchell and international mind power and personal mastery authority Robin Banks, Walsh has prepared a programme designed to fast-track personal and business growth. “This event is called an experience, rather than a conference, because instead of simply presenting an assortment of speakers, the Real Success Experience programme has been carefully put together by a group of people who collectively want to make a difference. The content flows to ensure that every crucial aspect of personal and business success is addressed over the two days of the event,” says Walsh. Up to 4,000 delegates are expected to benefit from the experience, says Walsh, with 2,000 tickets to be made available for free. Over 14 top South African speakers, entrepreneurs, inspirational teachers and leading human behavioural and business specialists will outline strategies for success, aiming to transform the lives of delegates. Register here for your free ticket, to this life change event.